This is Queen Avenue, near Lake Harriet in southwest Minneapolis. There was a heavy snowfall, and this residential street hasn't yet been plowed. 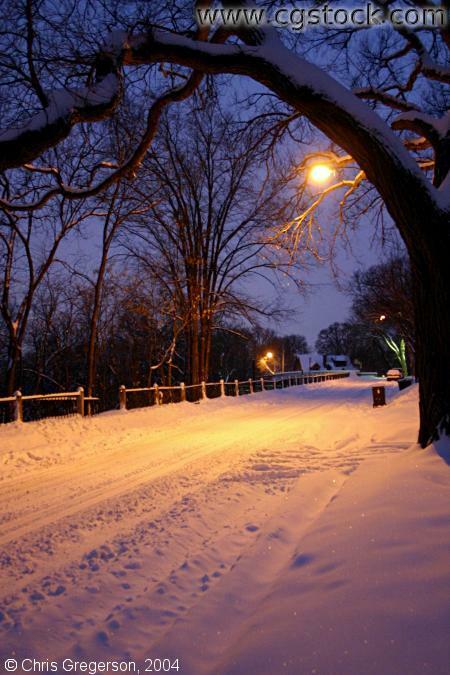 The fresh snow is sparkling under the streetlight.